This little teapot in my collection loses its head every single time I use it! Who would ever think of having a chicken teapot? Well, me, of course. I think this one was born to be next to this Longaberger basket and liner, don’t you? Perfect match. The whole world seemed to sparkle. To purge our human sorrows? For now I know the Way of Tea is real. 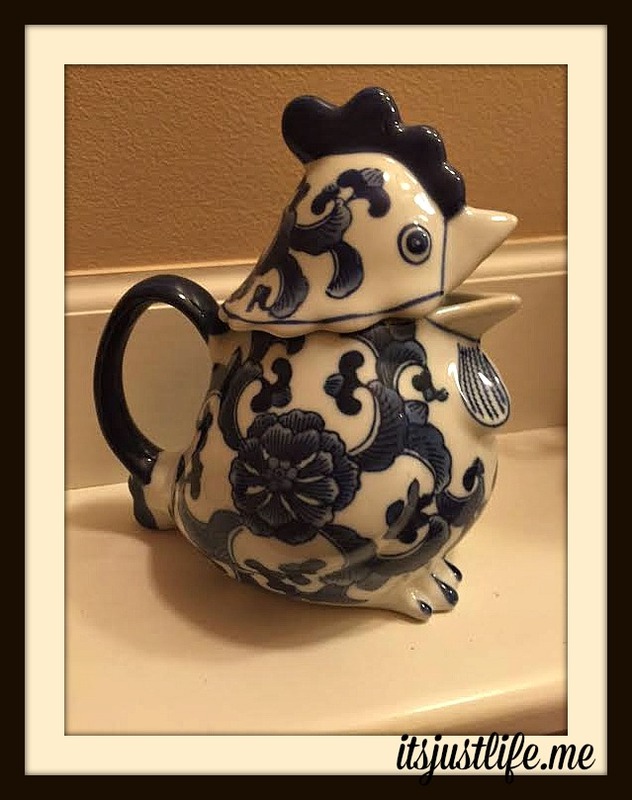 Since I am not a fan of chickens, I cannot pretend to like this teapot. But it is a rather cute chicken. He is very cute and he does not bite or peck so that is a bonus, right? He is pretty darn cute, isn’t he? And yes—it is for a good cause. I have a couple of cows. I need pigs!!! I have no pigs! That would be perfect. Absolutely perfect. A chicken with it’s head cut off comes to mind ha! Absolutely perfect with your Longaberger basket! I thought you would approve! Your teapot is very interesting and your post and the comments made me smile. 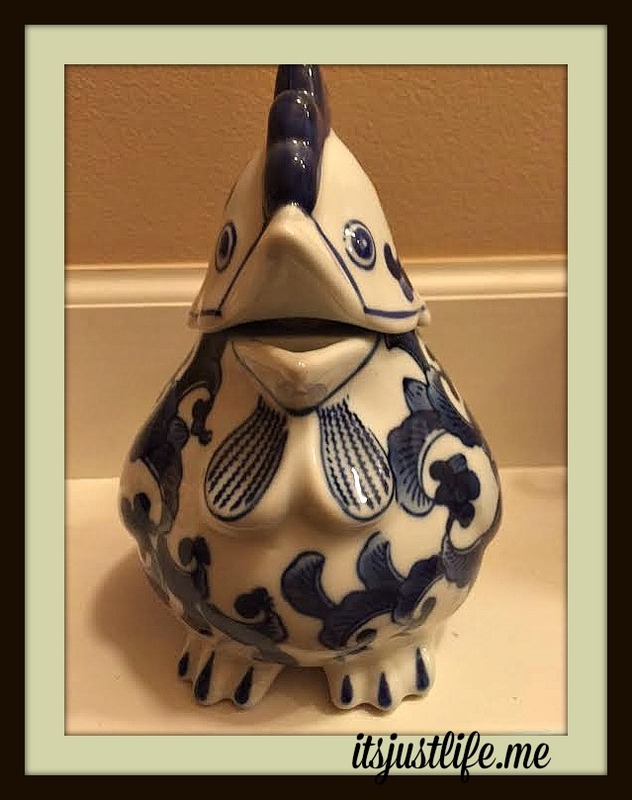 I like your chicken teapot but sorry his head comes off. Well he doesn’t seem too bothered with it, thank goodness. 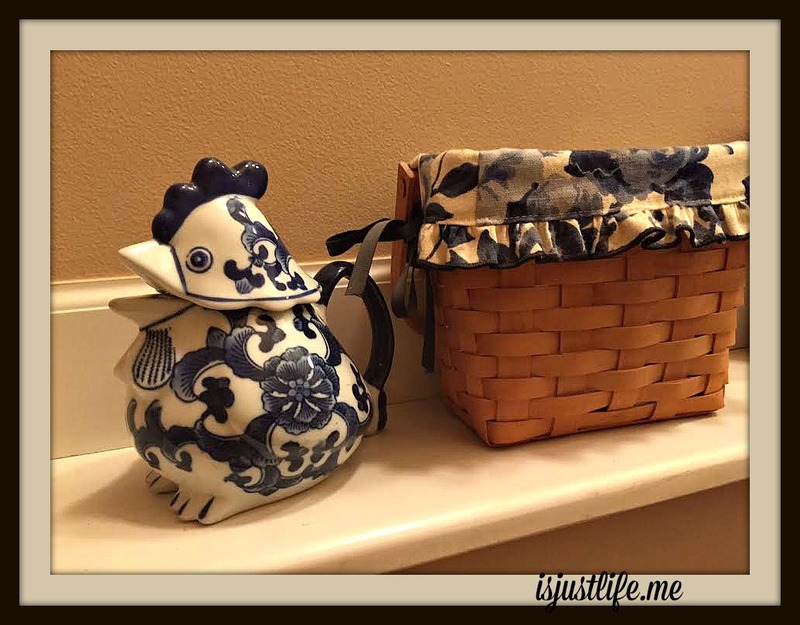 The chicken is PERFECT next to the lovely basket liner.